Early menopause has been linked to chemicals in the environment. 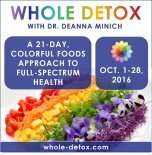 Our modern world is saturated with over 80,000 man-made chemicals. They’re in drugs, food, personal care products, cleaning products, cars, clothing, computers, and countless other household items. These chemicals accumulate in our bodies. Many of them, known as endocrine-disrupting chemicals (EDCs), interfere with your hormone activity. EDCs are linked to cancers, metabolic syndrome, cardiovascular disease, early puberty, infertility, and pregnancy complications. They can also send you into early menopause. 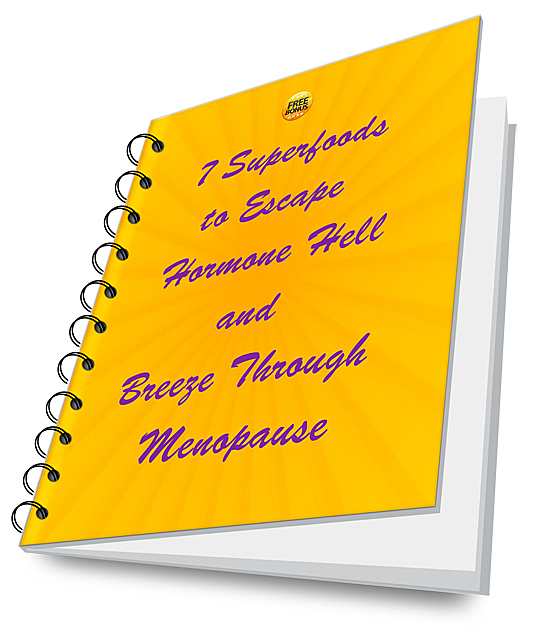 In a study published in PLoS ONE, researchers found that these chemicals might send you into menopause almost four years earlier! Early menopause means more time for hot flashes, mood swings, memory fog, and increased risk of osteoporosis, heart disease, and breast cancer. The study was based on data from the National Health and Nutrition Examination Survey (NHANES) from 1999 to 2008 covering 31,575 women aged 45 to 55 years old. The researchers looked at 111 EDCs including polychlorinated biphenyls (PCBs, coolants) and DDT. They also examined the effects of dioxins/furans (combustion byproducts), phthalates (plasticizers), phytoestrogens (plant-derived estrogens), phenolic derivatives (phenols, industrial pollutants), organophosphate pesticides, polycyclic aromatic hydrocarbons (PAHs, combustion products), and surfactants. 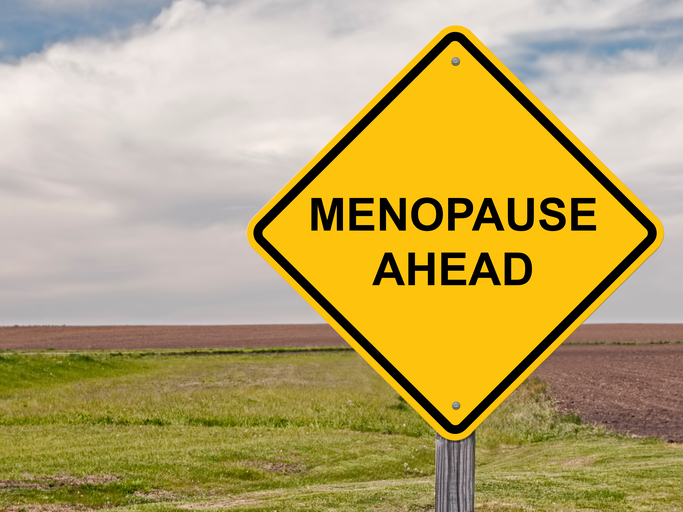 Their results showed a significant link between 15 EDCs and age at menopause. Phthalates have already been cited as a concern for menopausal women because of their endocrine disrupting properties. They are commonly used in building materials like plastic flooring and wall coverings, food processing materials and medical devices. They are also found in many personal-care products such as shampoos, nail polish, deodorants, fragrances, cosmetics, hair gels, mousses, hairsprays, and hand and body lotions. You’ll also find them in varnishes and the coating on some supplements. Previous studies have also found that use of phthalates among pregnant women can lead to a feminization of boy babies and infertility in men. Animal studies suggest they can lead to breast cancer. In this study women with high levels of the 15 EDCs had mean ages of menopause that were 1.9 to 3.8 years earlier than women with the lowest levels. And women exposed to the EDCs were up to 6 times more likely to be menopausal compared to women without exposure. The effects were much greater for the 15 EDCs than for tobacco smoke which another NHANES study linked to 0.8 to 1.4 years earlier menopause. Some of these chemicals may be illegal or not currently in production. For instance PCBs have been banned since the 1970s. But they still persist throughout the environment and pose an ongoing risk. 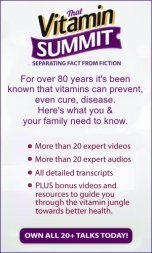 In addition, most of the chemicals that affected menopause had a half-life in humans of 10 years or more. In other words, once exposed to one of these toxins it takes 10 years for the body to process just half of it. It’s impossible to avoid all 80,000 chemicals used throughout the world. But here are 10 things you can do to help reduce your toxic burden. Eat organic fruits and vegetables to avoid pesticides, herbicides, and fungicides. And avoid those chemicals in your own gardening. Eat organic pasture-raised meat, poultry, and dairy. Animals accumulate chemicals from pesticides and fertilizer in their fat and tissue. Avoid farmed fish. They can be contaminated with PCBs and mercury. Instead, find a good source of wild-caught fish. Or stick with small fish that are less likely to accumulate toxins in their flesh. Use filtered water in place of tap or bottled water. Replace your non-stick pots and pans with high-quality stainless steel or enameled cast-iron cookware. Avoid foods in cans that may have BPA linings. 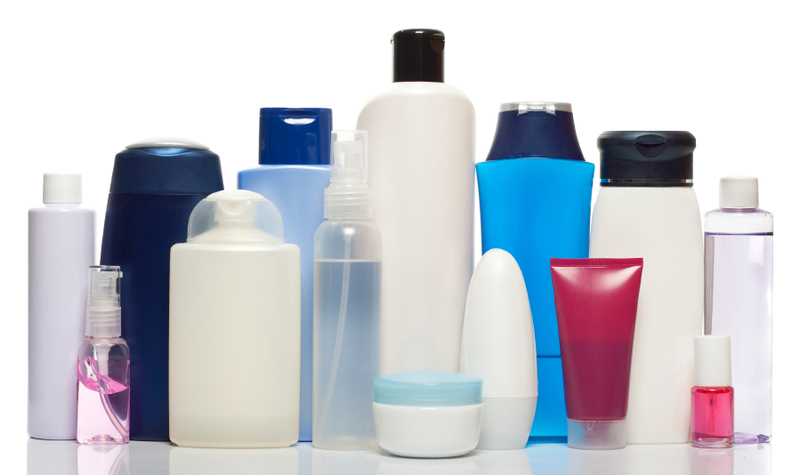 Check for toxic ingredients in cosmetics and toiletries. Try to buy non-toxic versions. Visit the Environmental Working Group’s list of safe personal care products that are free of phthalates and other dangerous chemicals. Avoid fabric softeners, dryer sheets, and other scented products, perfumes and air fresheners. Try natural aromatic oils and essential oils instead. Try unscented laundry soaps and all-natural cleaning products in your home. Don’t microwave in plastic containers or use plastic wrap when microwaving. In fact, avoid using plastic containers to the extent that you can. And don’t drink from plastic cups. Use glass instead. 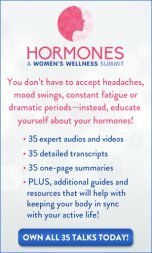 Click here for more about balancing hormones.